Okay, how long have you had it? It’s just sat there, right? Perhaps it’s still in the box? You love the stars….the planets…..if ONLY you knew how to use it? I’m talking telescopes! Did you get one as a birthday present?? Maybe for Christmas? And you’re not sure how to set it up now you’ve got your hands on one? Well, don’t worry anymore. 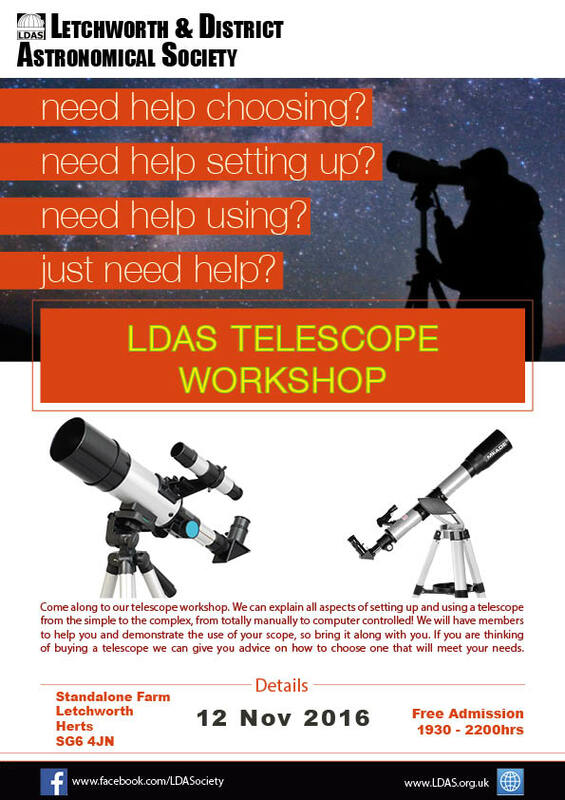 Come along to our Telescope Workshop, bring your telescope and one of our members will talk you through how to set up your scope – well, we like telescopes so much we’ll get it out of the box and help YOU set it up for you. We can answer your questions and, if the sky is clear, align it and see what we can see!